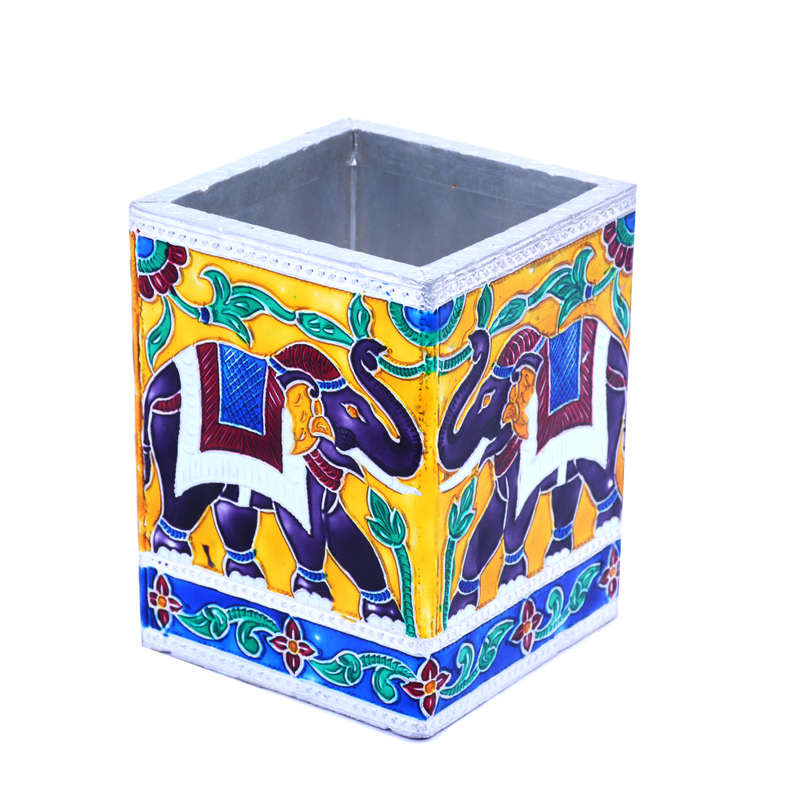 This Elephant Painting Meenakari Pen Stand will surely bowl you over with the fine display of ethnic artwork in the form of the elephant painting Read More..on its side. The quality of the Meenakari work on the body of this traditional pen stand in wood and metal is of the finest grade, and ought to lend an air of class to your workstation. Impress all your visitors by making this unique pen stand a productive part of your workspace, as well as, gifting to others. Show Less..